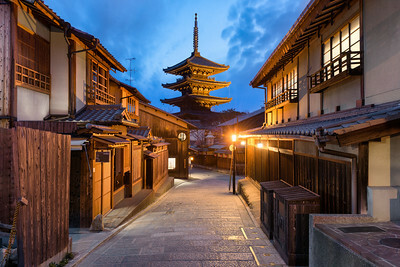 The ancient streets of Kyoto are beautiful at night. 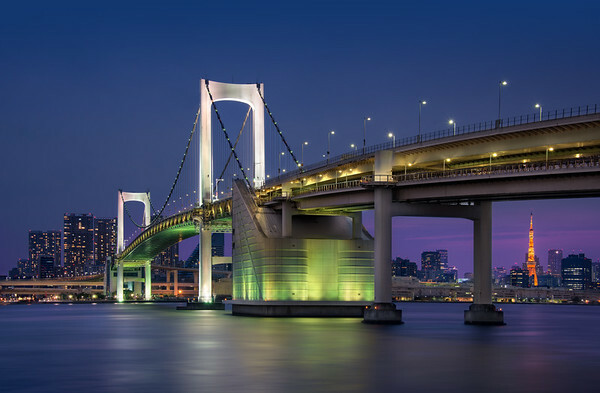 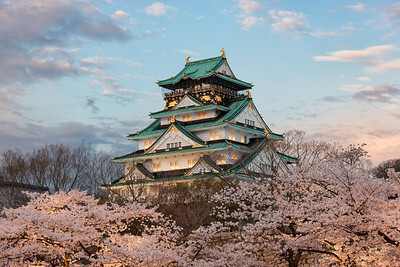 Illuminated in soft twilight, Osaka Castle floats on a sea of beautiful cherry blossoms. 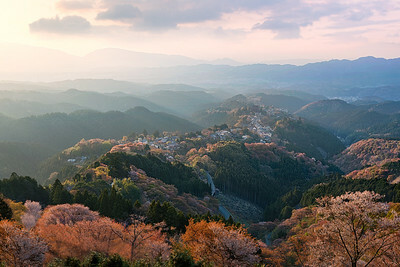 During Hanami in Nara Japan, Mount Yoshino blooms with thousands of beautiful cherry blossom trees. 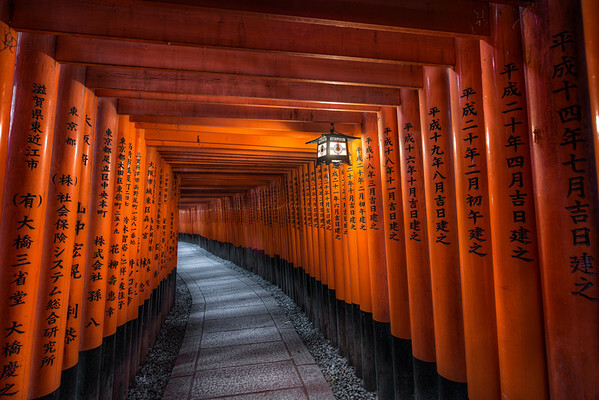 Lamplight illuminates the seemingly endless rows of vermilion torii gates in Kyoto Japan. 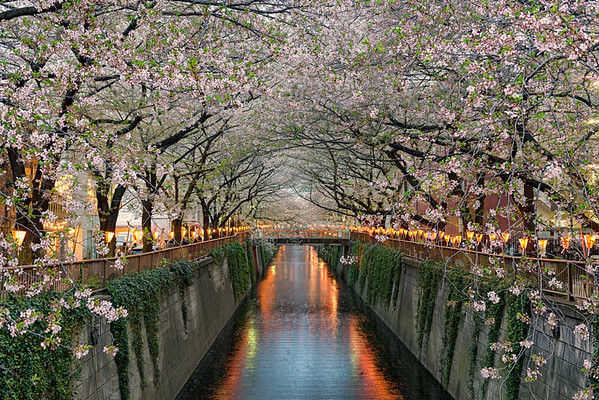 A beautiful evening in Tokyo as hundreds of beautiful cherry blossom trees bloom along the Meguro River. 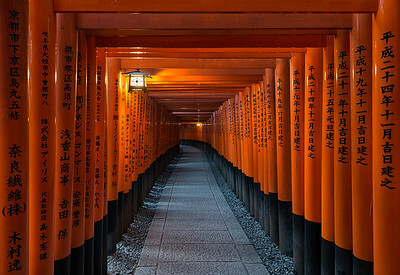 Glowing Lamplight illuminates the seemingly endless rows of vermilion torii gates in Kyoto Japan. 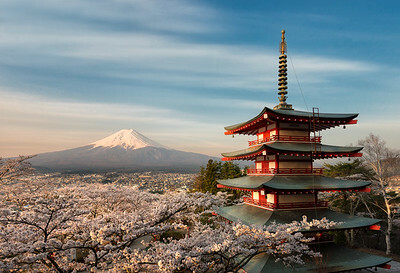 An old pagoda and a sea of cherry blossoms frame the beautiful and timeless shape of Mt. 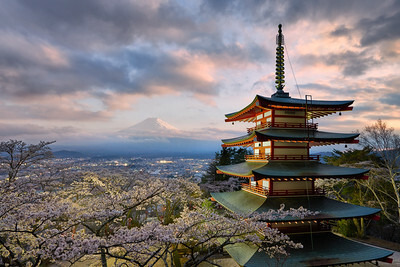 Fuji in Japan. 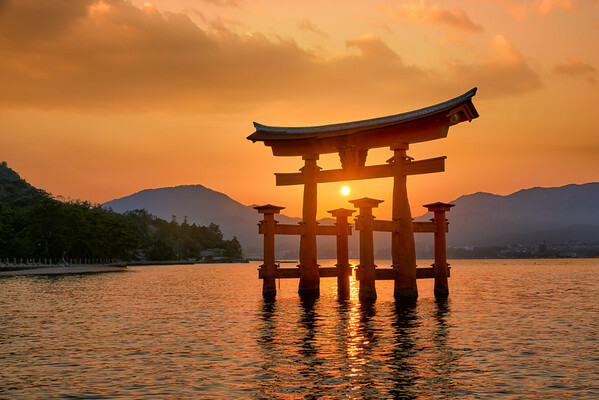 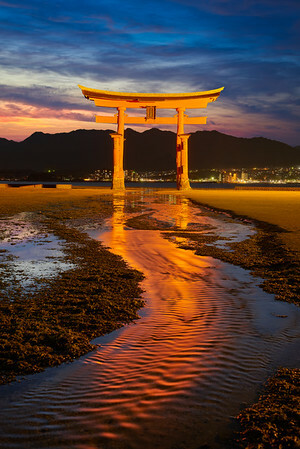 A stunning sunset in Japan as the Itsukushima Grand Torii Gate elegantly floats near Miyajima Island. 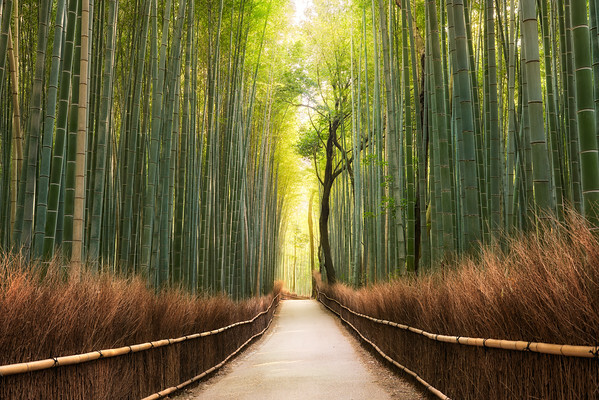 Warm sunlight shines brilliantly through the extraordinary Sagano Bamboo Forest near Kyoto Japan. 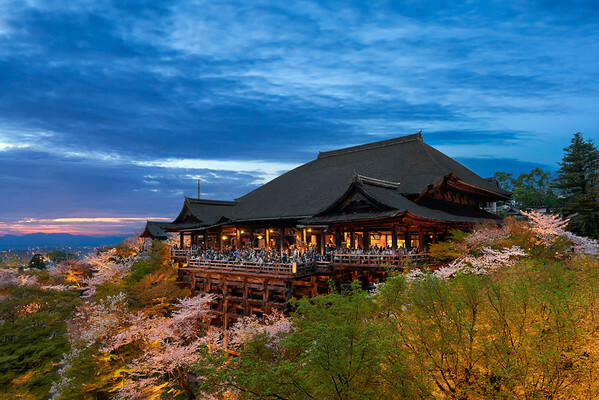 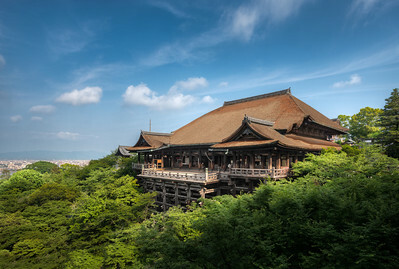 Colors and lights blend beautifully as the Cherry Blossoms bloom around Kiyomizu-dera Temple in Kyoto Japan. 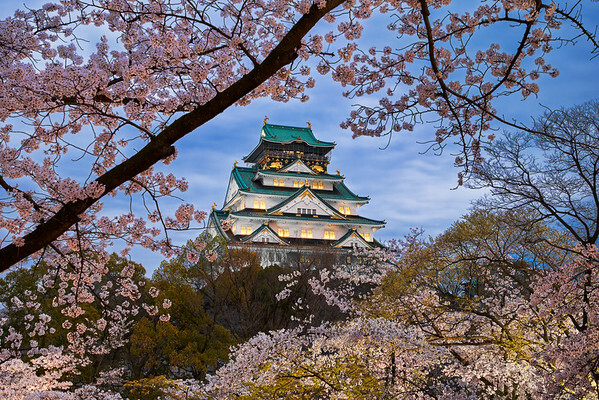 Beautiful Cherry Blossoms swirl around the stunning shape of Osaka Castle in Japan.